Below is the list of all the important account links you need – If you don’t use them today, you may want to bookmark this page for later. Step 1: List all of your social accounts. Can’t remember which ones you have? Try typing some key words in to your email like “welcome” or “login” or “account” or “confirm”. Alternatively, search for the names of the actual networks. Tip: Once you have the list, this is a good time to also make a list of your passwords for safekeeping. Step 2: Decide if you use it or not. If you never use it, consider deleting it. In some cases you can disable an account so the information is saved but not one else on the system knows you are still there. Keeping inactive accounts could cause information to continue to accumulate on those networks, so best to do some maintenance and not to leave them dormant. Step 3: Take action on each account. Delete the unused accounts. Review the privacy settings on those you are keeping. Be aware: There are web services that are constantly taking snapshots of online public data. Just because you delete an account, or increase privacy levels, does not necessarily mean that formerly-public pictures or attachments are gone. There are several places to check here. Start with the Privacy Checkup and Privacy Shortcuts. It will walk you through the basics. You can access it by clicking on the help icon in the corner. 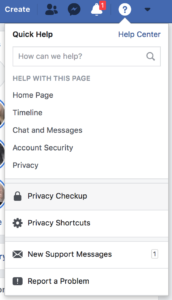 Alternatively, you can visit Privacy Settings and Tools page as well as the Timeline and Tagging page, which covers the same items as the Checkup. To deactivate, visit your General Account Settings. Scroll to the bottom where you will find a link that says “Deactivate your account”. Visit your account page in your settings. Scroll to the bottom where you will find a tiny link that says “Deactivate my account”. Note: Some Twitter handles are actually worth money (like popular URLs). Though someone may approach you about buying your handle, by Twitter’s terms it is actually illegal to do so. Start with the Google Security Checkup. This covers Google search, gmail, Google+ and Google Calendar. The Privacy Checkup covers Google+ as well as YouTube and your Google Ads. Scroll to the bottom where you will find a tiny link that says “Delete your entire Google profile here”. Each board can be individually set to “Secret” by selecting the Edit button on the board. Otherwise the board is public. Note: This is a deactivation, not a deletion, so your account still exists but no one will see your Pins or anything else in your Pinterest profile. You can deactivate your account but only from a browser, not the Instagram App. You can delete your account from the Deletion Page. As always, feel free to post questions in the comments section. 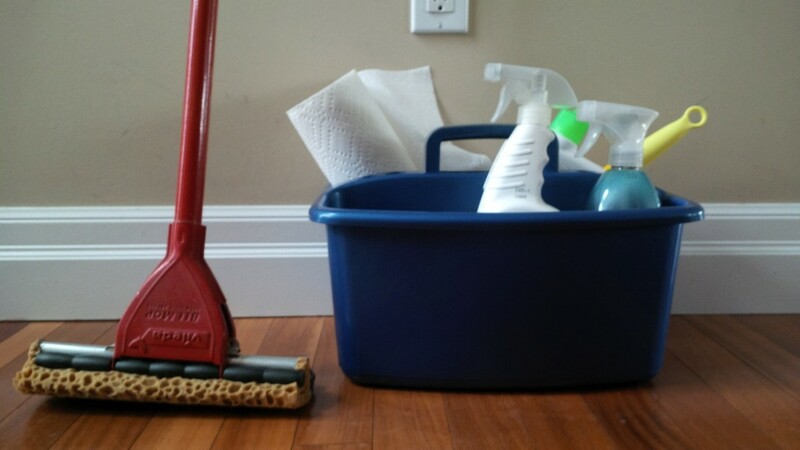 Happy Cleaning!